A Little Crafty: Salt and Ice Sculptures. I have been wanting to do the ice and salt experiment for a while now with the kids, I was just waiting for the weather to warm up a bit. It's a perfect activity for a warm spring or summer day. 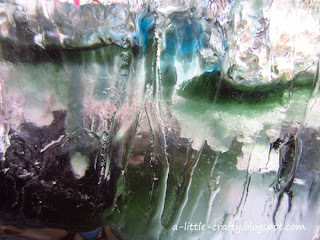 Last week we had a lovely day, and I had remembered to freeze a nice big block of ice. 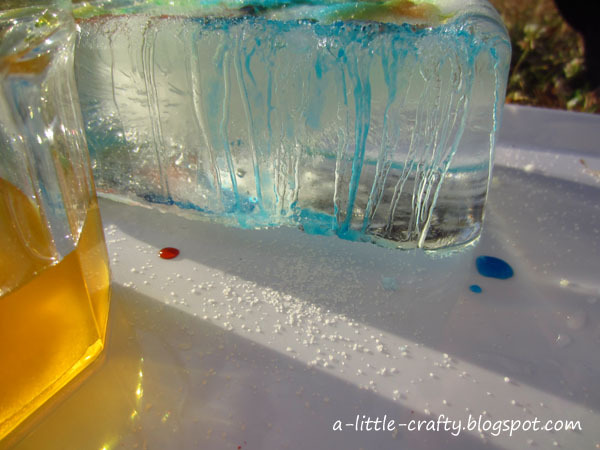 It was one of the nicest, simplest and most satisfying experiments I've done with the kids. 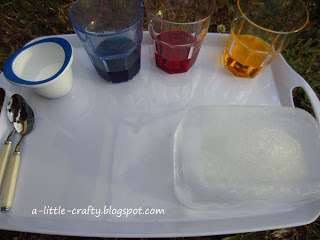 All you need to do is freeze a big block of ice, make a few different colours with food colouring in water, and fill a small container with table salt. Take it all outside on a tray with a couple of spoons and let the kids play. At first it was interesting watching all the colour mixing. 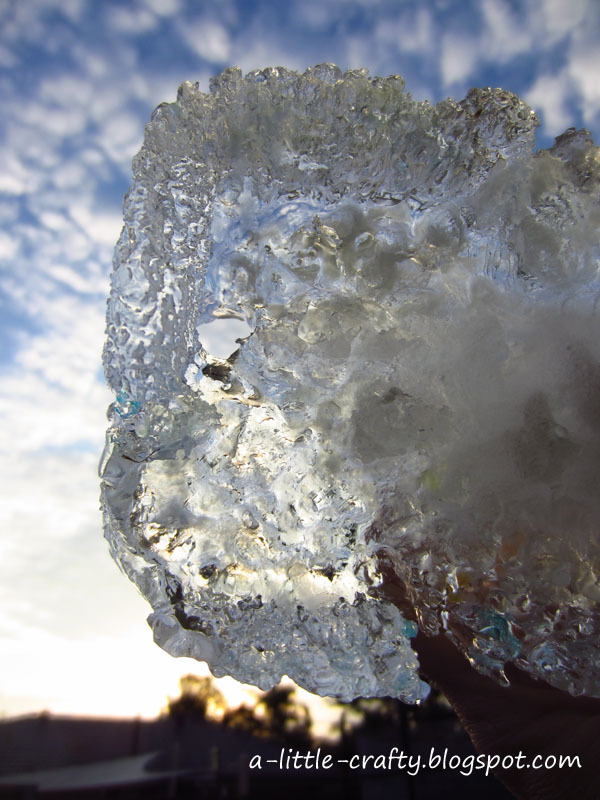 That kept going for a while, watching the colours blend and the ice slowly melt away. By the time the colours had mixed into a dark green colour the tunnels were looking very interesting. 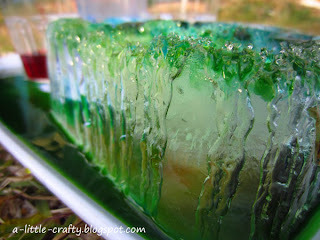 We could scoop some of the used water from the tray and pour it back into the ice, until we had a couple of nice tunnels, and the kids finally had had enough. The sculpture is really very beautiful. The colors makes it more attractive and its shape is also simple and cool. Thanks for sharing such a wonderful art. Your all photos are really nice.